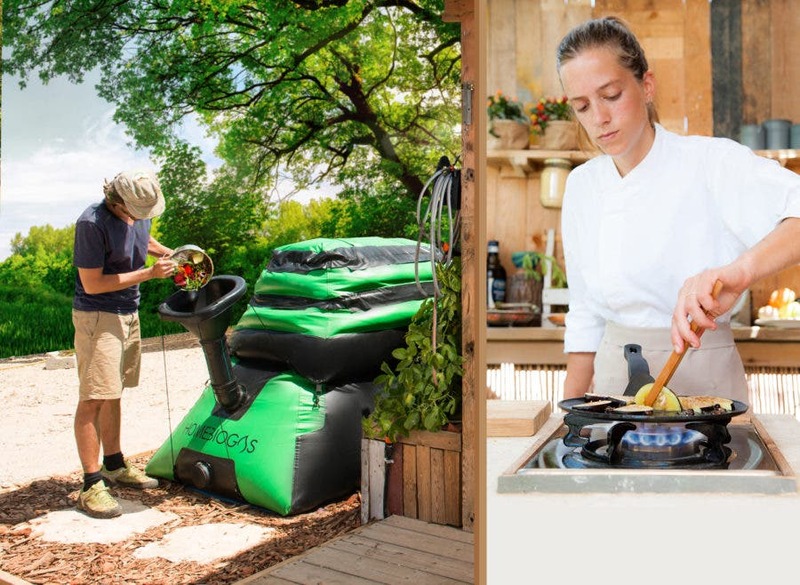 The biogas appliance is meant to sit in the yard near the kitchen (up to 20 meters away), where the 1200-liter tank is filled with water, “activated” with bacteria, and then filled with food scraps, kitchen and garden waste, or animal manure on a daily basis. Inside the digester tank, bacteria breaks down the organic matter, producing biogas that gets collected in a 700-liter gas storage tank, which then feeds the biogas to the stove in the kitchen. It is a completely off-grid appliance, and as long as it is fed properly and within the optimal temperature range, it is claimed to produce up to 3 hours worth of cooking gas daily. When outside temperatures are above or below the recommended range, the appliance requires shade, insulation, or a heater to perform as designed. 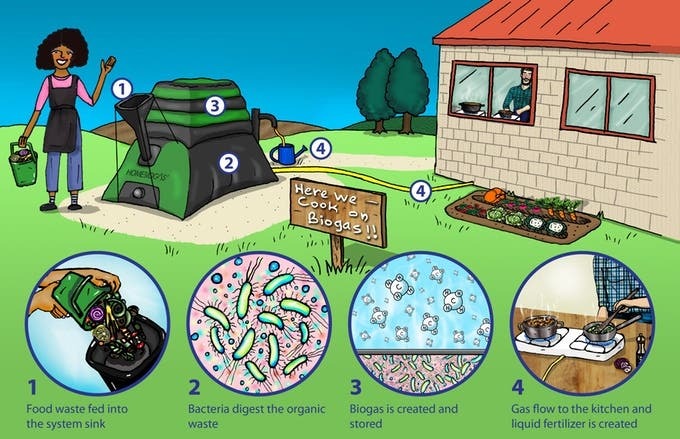 In addition to biogas for cooking, the HomeBiogas 2.0 system also produces up to 12 liters of organic liquid fertilizer each day, which can go a long way toward boosting garden yields and increasing soil health and fertility. According to the press materials, although the HomeBiogas 2.0 system gradually fills its gas storage tank as the biogas is produced, a “patented mechanical pressure mechanism” and an inline gas purifier ensure that clean, ready-to-use cooking gas is delivered at a uniform rate to the biogas stove. 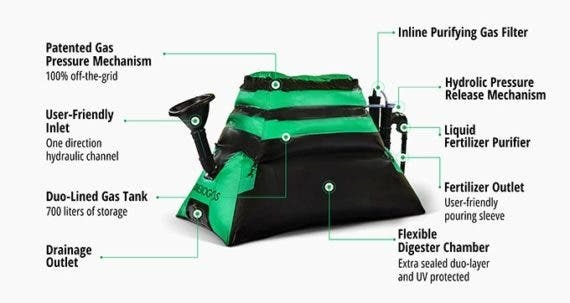 While this home biogas appliance looks to be an effective way for homeowners (and renters) to convert organic waste into a clean and off-grid cooking fuel, it’s the possibilities for it to alleviate deforestation, dirty cooking fires, and air pollution in the developing world that could have a large impact. And because of that, HomeBiogas is also matching donations to the campaign that will go to fund local organizations in Puerto Rico and Kenya in order to provide clean energy to the families there who really need it.